Talk To Us Because We Buy Houses Fast In Ajax, ON (At Any Price & Any Condition). Our Process Is Easy And Simple. If you need to sell your Ajax house…we are house buyers and will give you a fair cash offer in about 24 hours. Stop your frustration with your unwanted property. You won’t be asked to do any repairs. Give us the chance to buy your house now, regardless of it’s condition. How To Sell My House Fast In Ajax, ON. There are two ways to sell your house in Ajax. You can sell your house slow or fast. The slow way is to list it with a real estate agent. It can become stressful waiting months for a buyer to come along and then waiting for their home inspector’s report and then waiting for their financing to come through. Wait. Wait. Wait. That creates more stress. Agents will typically ask homeowners to have numerous things fixed or painted so it’s easy on the agent. But the agent won’t pay for that. You will. Then if a buyer comes along after you wait for months and months, you’ll still have to pay that agent huge commissions if the financing goes through and you actually go to closing. But what’s worse than paying commissions? Imagine how you’ll feel 10 months from now if your house is still “For Sale”? Or…you could try to sell it yourself – FSBO (For Sale By Owner). But then you’ll still have to wait for a buyer to come along. And you’ll have to pay for advertising and then closing costs and maybe repairs too. And you may not be enjoy the paperwork and legal stuff that typically goes on. Having to do it all yourself is like taking a second job, but you never get to clock out. We Buy Houses Fast In Ajax So Selling Your House Can Be Easy And Simple. Have you found yourself in a tough spot lately? We buy houses fast in Ajax from people who are behind on payments, inherited a house, need to relocate, are facing foreclosure, and many other reasons. Yes, we buy houses fast in Ajax for a fair price. We understand that you may have run into some tough struggles and need to sell a house fast. We try our best to give people a fair offer for their property. If you simply don’t want to put up with the hassle of owning that house any longer, and if you don’t want to put up with the hassle and time-consuming expense of selling your property the traditional way, let us know about the property you’d like to be rid of and sell your house fast for cash. Talk to someone in our office before submitting your property information by calling us today at (647) 848-7790. 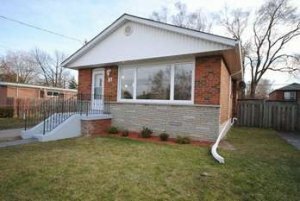 Would An Investor Buy My House In Ajax For Asking Price?